Meet our team of truly talented artisans whom we appointed for their passion and dedication in their field of hair and beauty. 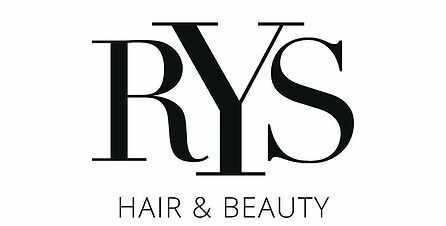 We believe that good service and success at RYS comes from their commitment and unconditional willingness to be the greatest skilled professional. We value and respect our growing team at RYS. Tolga is a senior member of the RYS team with over 20 years experience in the industry. Being a stylist and colourist he works with both men’s and ladies hair, meeting every hairdressing requirement. Tolga’s long lasting blow dries has gained him a loyal client following and he can tame the most difficult hair with bespoke keratin and hair conditioning treatments. Dayne started his career in hairdressing in late 2000 in London and built a demanding clientele. Having worked at the highest level in hairdressing and done various shows for London and Paris Fashion Week as well as Paris Couture which include Ralph & Russo and Giorgio Armani. Dayne has also worked on various photo shoots which includes Vogue, Tatler, Amazon, Hello Magazine, Sunday Times and many more online features, TV and a celebrity clientele. Not only is Dayne known for his haircuts but he also is a firm believer in offering his clients the best in hair care treatments. Keraplex is the game changing hybrid hair treatment pioneered by Dayne designed to restore long-lasting health and strength to the hair. Aline started her career in hairdressing at RYS over three years ago. Having worked as Yilmaz’s assistant she has immense knowledge about salon etiquette, hair care products and various treatments offered in the salon. Aline’s attention to detail in providing the best customer service makes the clients very comfortable and at home. With over 11 years experience within the industry, Prital has worked in all major luxury stores - Harrods, Selfridges, Liberty, Harvey Nichols. Her loyal clientele includes Royals, Hollywood and Bollywood icons. Oksana opened the nail zone at RYS over 5 years ago. Having over 17 years experience in the nail industry Oksana has a large client following and due to her impeccable professional expertise in any type of manicure or pedicure. Clients who have been served by Oksana become her devoted fan. Mari has brought in depth knowledge of medical pedicures and has experience working in Moscow for very high end nail salon. True artist she has a natural flair and aesthetic good eye in makeup whatever the occasion. Mari’s bubbly personality and friendly nature always keeps clients and the team entertained. Sergen recently joined our team at RYS and is training under Yilmaz to become a stylist. His exceptional head massage technique at the backwash and ever green positive energy has made him the star of the salon. Natalia originally trained in Ukraine to a very high standard and has been in the nail industry for over 15 years. Her skills lie in gel extensions, gel polish and classic and dry manicures/pedicures and tips to maintain immaculate nails. Julia recently joined our team and has over 20 years’ experience in her home country Latvia. She specialises in dry manicure and pedicure using special industry machine. Julia also specialises is hot and strip wax. Having worked in the finance industry, Violetta left it to pursue her career in beauty which was a part time hobby. Violetta has become very popular doing cashmere eyelash extensions in classic and 3/6/9 dimension. Her international clients are so addicted to the individual eyelash extensions she does that they specially fly in to see her. Preeti has been a part of our RYS team for over 2 years and we are proud to have such a renowned leading make-up artist available for weddings, parties, photo shoots and special events for our clients. She has been featured in several prestigious publications Elle India, Glamour, Essex Style, Asiana and Asian Woman. Her brushes have stroked the faces of countless celebrities including (the late) Amy Winehouse, Sarah Harding, Taio Cruz, Mr Hudson, Jay Sean, Raghav, Omid Djalili to name just a few. Preeti’s in depth consultation with every client allows her to recognise aspects of their individuality and deliver a beautiful, flawless look ensuring it is complementary to the client. Selime is professionally trained in Bulgaria and has over five years experience working in the industry. Her exceptional eye for detail in cut, styling, hair ups and amazing blow dry has acquired her loyal clientele. A weekly blow dry with Selime is highly recommended. Monika has 15 years of experience working in the hair industry. She has great expertise in highlights and colour and is always very attentive towards her client styling need. Her bespoke styling skill for creating hair shapes and styles has also made her a favourite for men’s grooming. Simon qualified with a Sport Science degree in 1995 and has been practising Reflexology for over 20 years using a technique called Rho Shur originating from Taiwan. He gained further formal qualification through Phillip Salmon Reflexology School. Simon has been working with clients treating stress related illness and those recovering from high blood pressure, poor circulation, fertility issues and clients recovering from major operations, and chemotherapy as Reflexology helps boost the immune system.